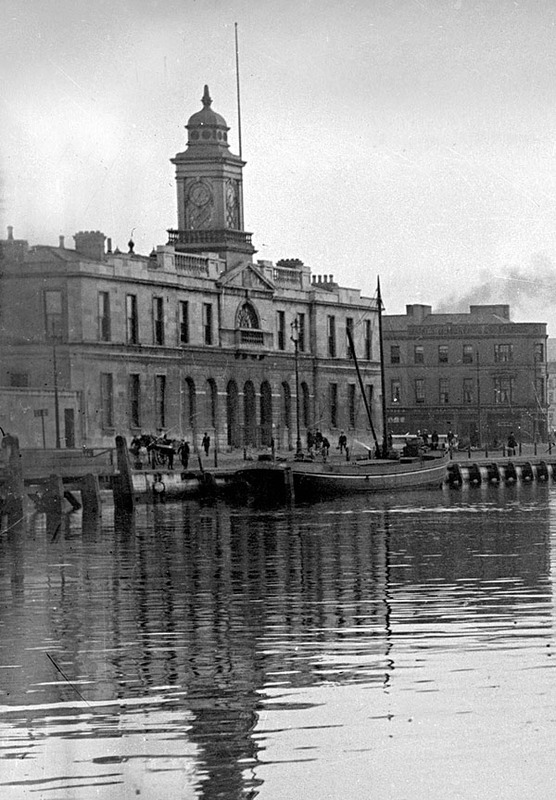 Cork City Hall began its life as the City’s Corn Exchange, the main frontage of which was constructed in 1843. 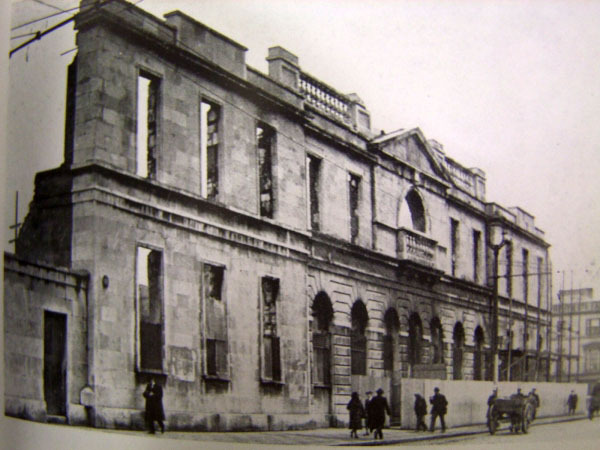 The location was also used by two industrial exhibitions in 1852 and 1883, with exhibition buildings attached to the rear of the Corn Market. 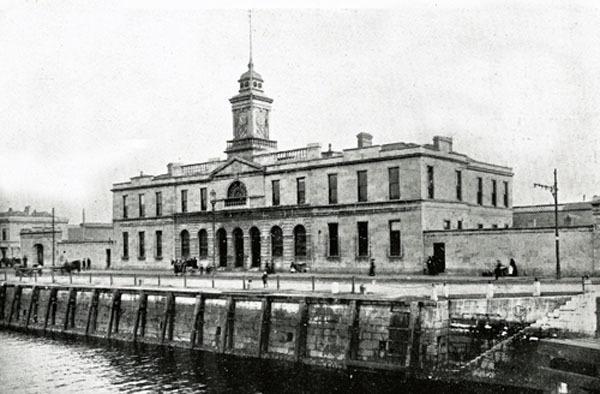 Following the success of the 1883 exhibition, the Corn Exchange was converted into Cork City Hall. Destroyed in December 1920 by a fire set by the Black and Tans as retribution for republican attacks. Replaced by the Jones & Kelly building of 1935.